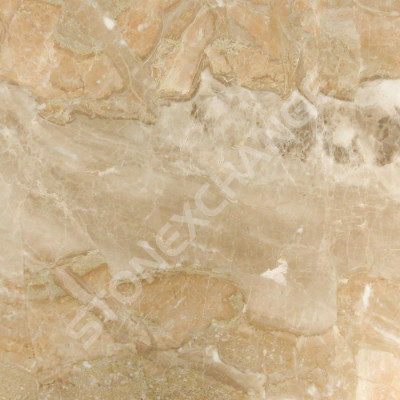 Nalboor Tiles Natural Stone Where Can I Buy Wholesale Natural Stone in South Florida? When it’s time to finish up your projects in South Florida, it’s important to find the right suppliers for all of your materials. It’s not enough to find a company that offers top quality goods. You also need to find those items at competitive rates so that you can keep costs down at every level. Natural stone is in high demand throughout the region, and it can carry a premium price at the local store. However, you’ll find that there are several different options available to people in the Sunshine State. Most retail stores have a clearance selection, so you can save money by going down the discount aisle and hoping they have something that will work for you. The benefit is that you can save a substantial sum, but the downsides include limited selection and inventory. Even if you find something you love, you may find that the store doesn’t have enough pieces in stock. When you want clearance pricing along with great selection and a reliable inventory, go with a trusted wholesaler who sells direct to the public. Here at Nalboor Tiles, we have a range of natural stone products, including Adalia Cappuccino and Arizona Ivory Travertine. We’ll provide you with clearance pricing while still ensuring that you can always order more tiles when you need them. Sometimes contractors buy too much raw material, and they’ll sell the leftovers on swap sites. This is a possible option if you just want to do a small craft project, but it’s not the best choice for building contractors with large-scale projects. For one thing, you have no way of knowing whether those leftovers are good quality stones that can handle regular foot traffic, and you’ll be greatly limited in quantity. A better option is to just visit the Nalboor Tiles’ showroom or even check out our inventory online. We’re the place contractors come to for excellent pricing on quality products. In fact, we offer bulk rate pricing, so that your savings increases along with your order size. You’ll be able to pick up your products from our clean, safe warehouse, or we can have everything delivered to you. We make it easy and efficient to save money on the fine stones that will make an impressive impact on your company’s name. When you buy from your local retailer, most of the hard work is left to you. After loading up the boxes of tiles in the back of the store, you’ll take them to your vehicle and transfer them over. Then you’ll drive them to your warehouse or building site and unload. Even if you excluded delivery costs, the prices can leave you with sticker shock. However, when you come to Nalboor Tiles, you’ll have a pleasant experience. Our customer service representatives are happy to inform you of all of the natural stone tiles that are available to you in bulk. We also offer shipping services, so you can opt to have everything delivered right to your worksite. We keep tight control over our costs, and we own our quarries, so we’re able to provide contractors with wholesale prices. In addition to making it easy, we also make it more affordable. Throughout Florida, there are department stores that are selling everything from fresh fruits to building materials. While these places are fine for buying shower curtains and other miscellaneous items, they’re not really the best option for quality natural stones. How Emperador marble and other natural stones are cut and finished can have an impact on their finish and durability. Discount stores are generally looking for substandard stones that they can sell at cheap prices, but these materials won’t withstand the test of time. Replacing them down the road can be cost-prohibitive due to labor costs. You can avoid problems by going with high-quality stones from reputable places like Nalboor Tiles. We handle the manufacturing on our own, so we have more control over the process. We look for experienced and passionate manufacturers who know how to protect the grain of a stone while bringing out the beautiful finish. The result is stones that can handle regular foot traffic and will become a true asset for your home. Yet our prices are comparable to those cut-rate discount stores because we offer wholesale rates. Here at Nalboor Tiles, we have experts on hand to help you. Our friendly staff will work closely with you throughout the ordering process, so you won’t have to worry about a thing. We’ll answer your questions about different stones and dimensions so that you can get exactly what you need. We pay close attention to details when filling orders to ensure that shipments go out right the first time. Finally, we maintain highly attractive rates that will fit your budget. Customer satisfaction is our top priority, so we’ll treat you with respect while helping you save money. We have a great selection, and we’re able to maintain excellent inventory levels of all our natural stones. If you discover that you need a few more pieces or want another case, we’ll be here to help you. Look us up online or call Nalboor Tiles direct at 305-501-4548 to place your order and see how easy it is to buy natural stones in South Florida.